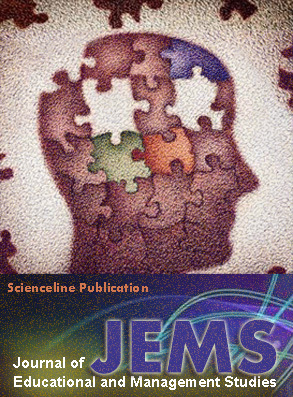 The Journal of Educational and Management Studies (ISSN: ‪2322-4770) is a peer-reviewed open access journal, publishes the fulltext of original scientific researches, reviews, case reports and short communications, quarterly. JEMS focused on learning. Knowledge, skills, values, beliefs, and habits as education's aims and also management goals such as planning, organizing, staffing, leading or directing, and controllin.